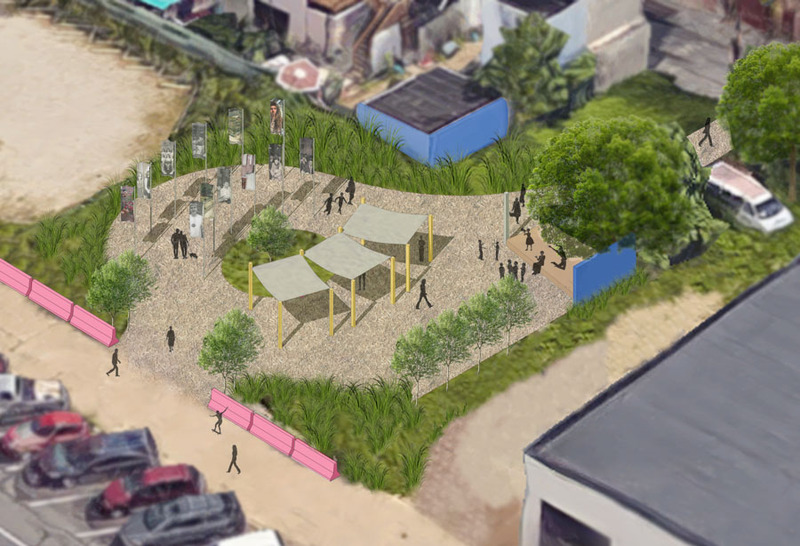 While business owners, city planners, developers and residents wrestle with the complex challenges facing the desolate and deindustrialized North American Street, the Philly Block Project team has built a small pop-up park — an oasis — cut out from an unused lot on the east side of American, between N. Master and N. Jefferson Streets. 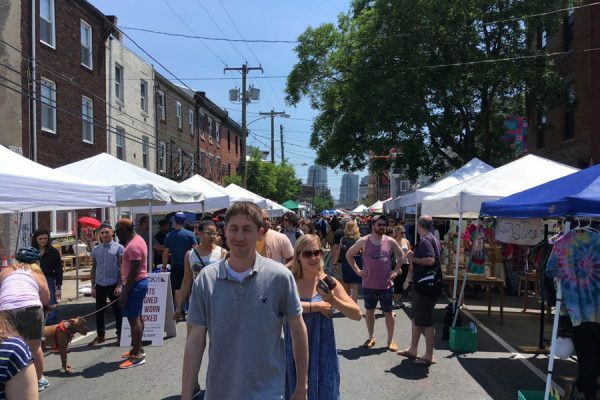 The Philly Block Project is a year-long, socially-engaged collaboration that provides a visual narrative of South Kensington’s past and present through photographs. 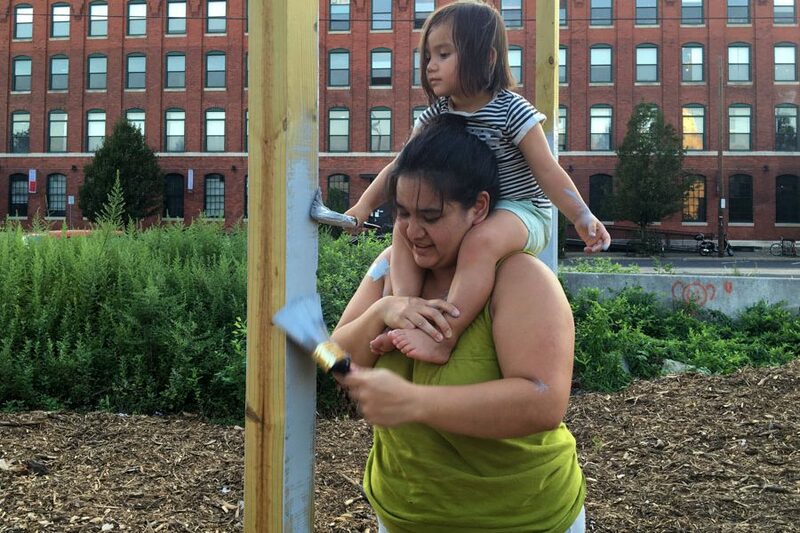 While the project consists of photo exhibitions, we have also created programs, like this garden, to meet and create with more of our neighbors. 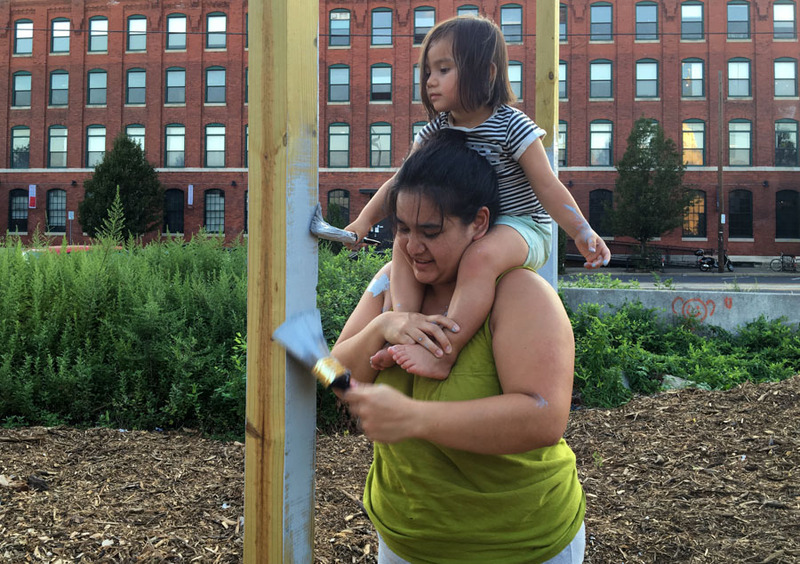 After months of research, unfruitful conversations and unanswered calls, Stolfa found her solution across the street from the PPAC, when Mark Rabinowitz of Rabinowitz Glass agreed to lease the land through November. The lot was an uninviting space. 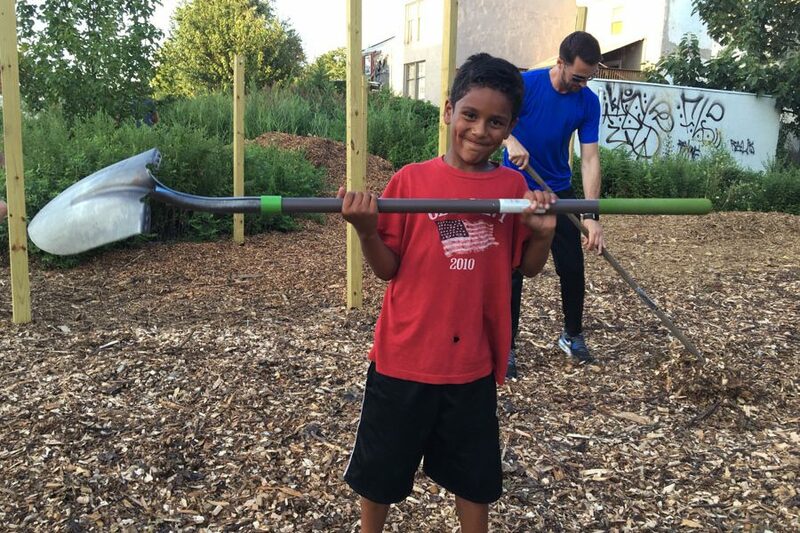 Ambitious vegetative growth, six-foot-tall, pushed against the concrete barriers that lined a weed-infested sidewalk. The back of the lot was just as imposing. It was home to thick, scruffy shrubs and the remains of a broken wall topped with barbed wire. With land, however, the creative team could plan. The architectural rendering for The Meadows was created by Terra Studios. Stolfa invited Tim Kerner of Terra Studio and his Temple architecture students into the project. 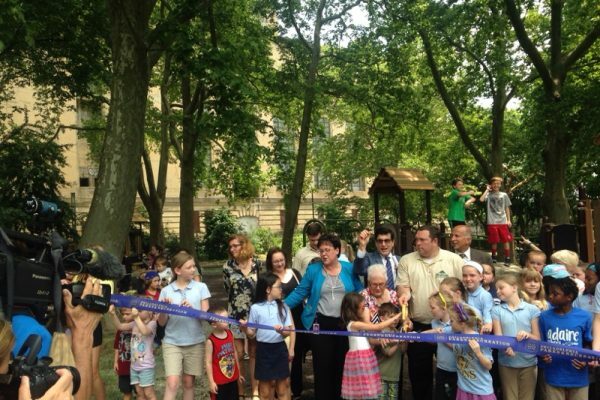 They designed a park with a shady picnic area, a stage and an outdoor photography exhibition. 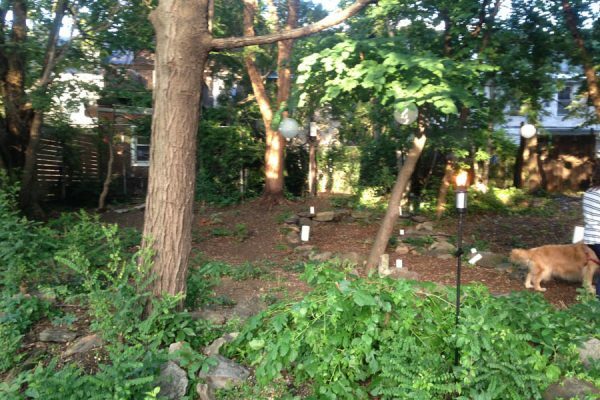 The architectural rendering left a thick border of the weeds untouched. 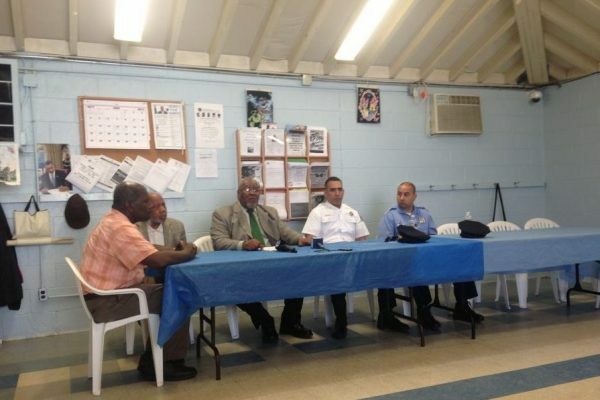 Kerner presented their design to South Kensington residents at one of our monthly community meeting. The Philly Block Project is a collaboration with South Kensington residents, and the residents have come out to help build the park. Today “The Meadows” is nearly finished. 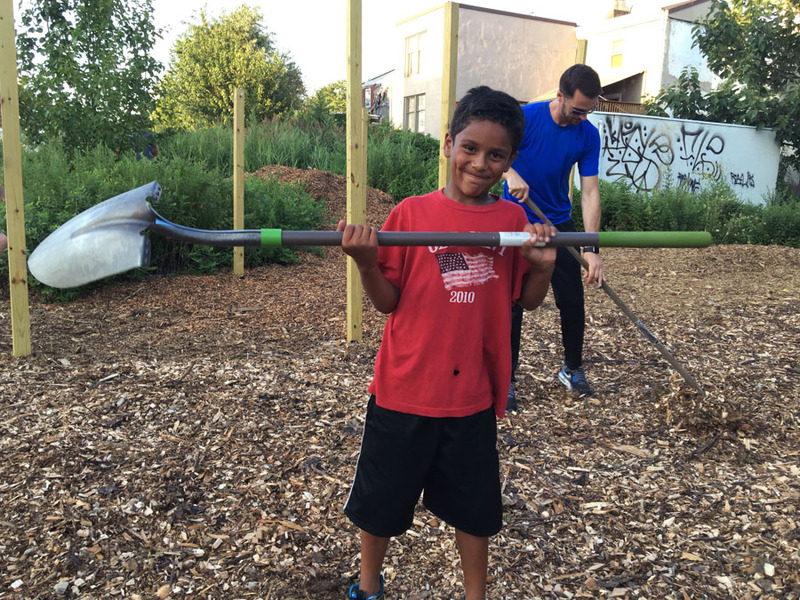 15 tons of donated wood chips smother the weeds. Picnic tables and benches made from scrap building materials stand under tarps. A stage juts out from the broken wall. And color flashes of magenta, cyan and yellow brighten the gray landscape. 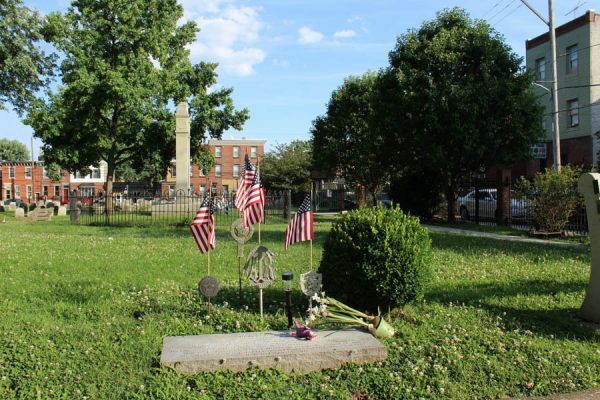 The Philly Block Project’s lead artist Hank Willis Thomas will exhibit photographs on flags in The Meadows. 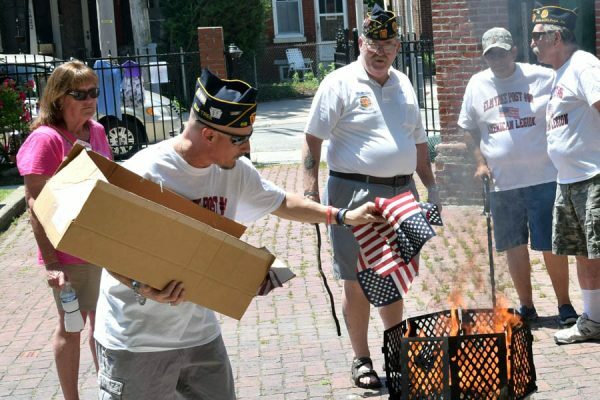 “The idea behind the flags is to celebrate the neighborhood and monumentalize the everyday,” said Thomas. 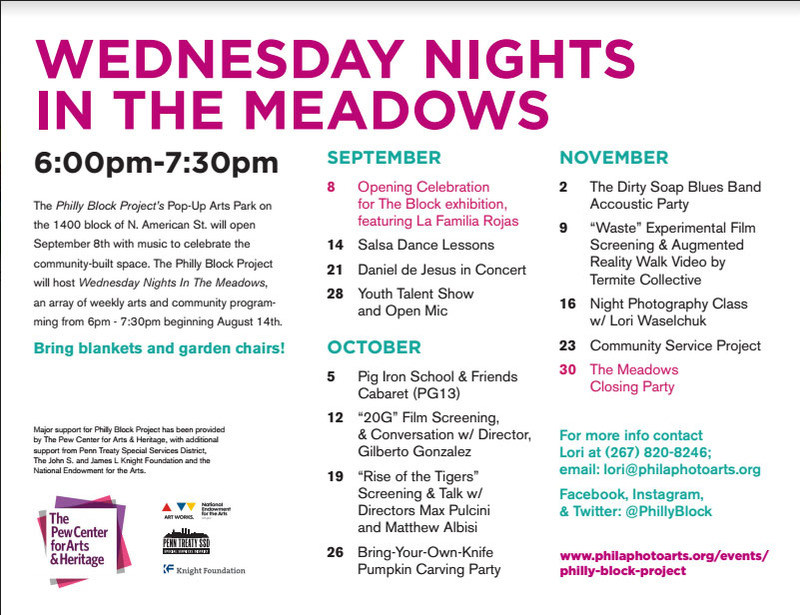 “The Meadows” will host an opening celebration on September 8, from 6PM – 8PM, the same night as the opening of “The Block” exhibition at the PPAC. 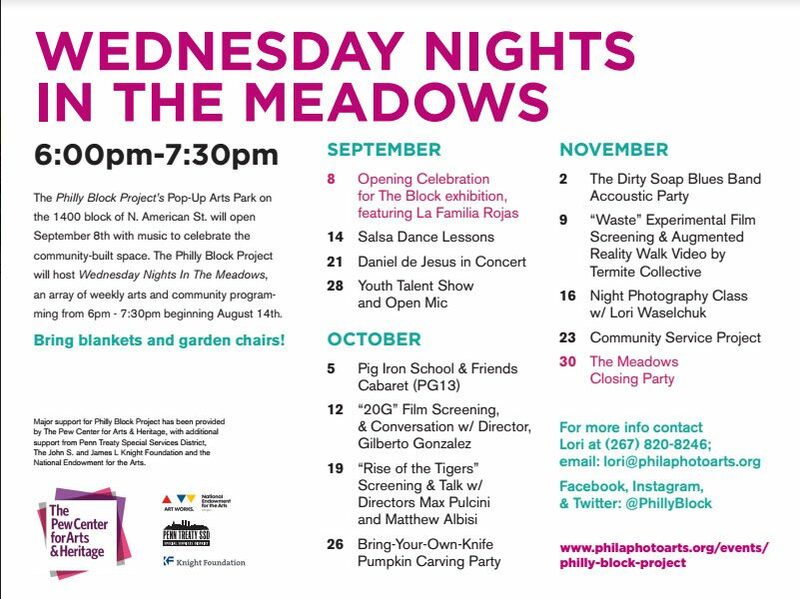 Beginning September 14th, the Philly Block Project will host a series of arts programs called, “Wednesday Nights in The Meadows.” Free events, from cabarets to concerts, film screenings to dance lessons, will take the stage in the pop up park, each Wednesday through November 30th, from 6PM – 7:30PM. For more information, contact lori@philaphotoarts.org. Below is complete schedule of programming at The Meadows.